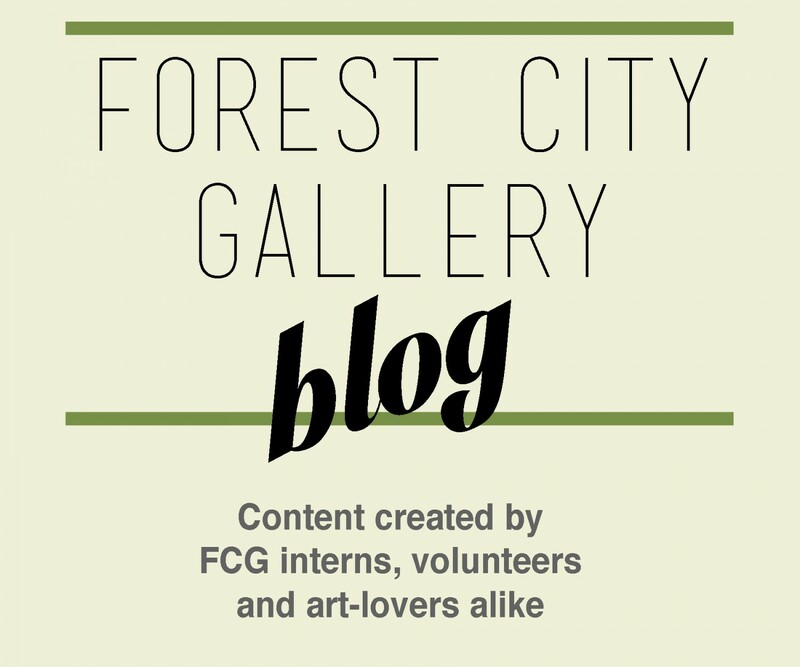 Forest City Gallery Volunteer Blogger, Tasha Partridge, attended Fanshawe College’s annual painting exhibition at the Arts Project. Below, Tasha elaborates on organizing the exhibition, the jurying process, and student’s reactions to being a part of this exhibition. 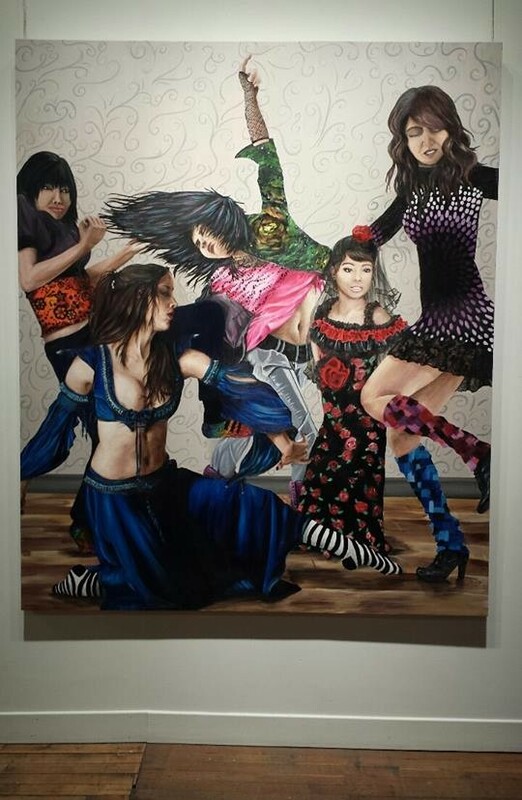 DON’T STOP THE DANCE was an exhibition held at The ARTS Project that ran from March 11 to15th 2014. 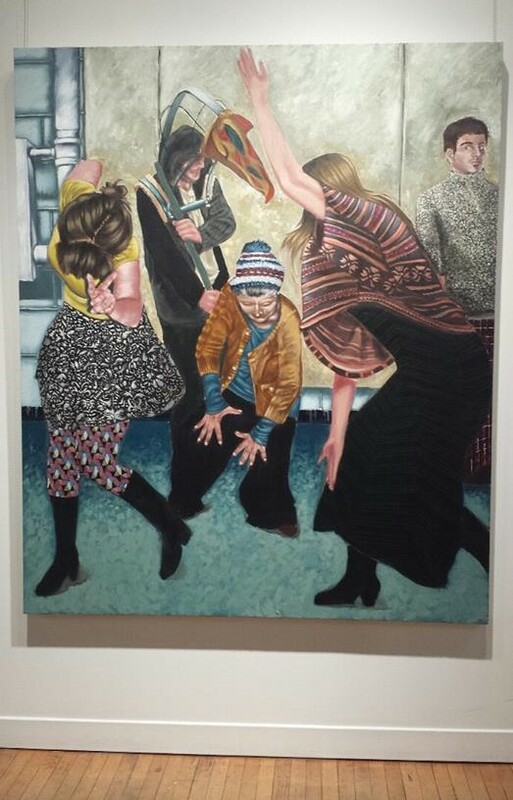 The exhibition featured paintings from 24 second-year Fine Art Students enrolled at Fanshawe College in London, Ontario. Each school year Fanshawe Arts students are given a specific painting project to be started at the beginning of each semester. These painting projects differ greatly from year to year. This year the students had to explore movement, form, pattern, and colour on a large scale canvas, specifically sized at six feet by five-feet. The project requirements allowed the artists to pick five dancing figures while incorporating various patterns that reflect differing rhythms, color and texture. Artists in this exhibition were also asked to consider the consistency of paint, and how the use of paint reflects on the content and concept. 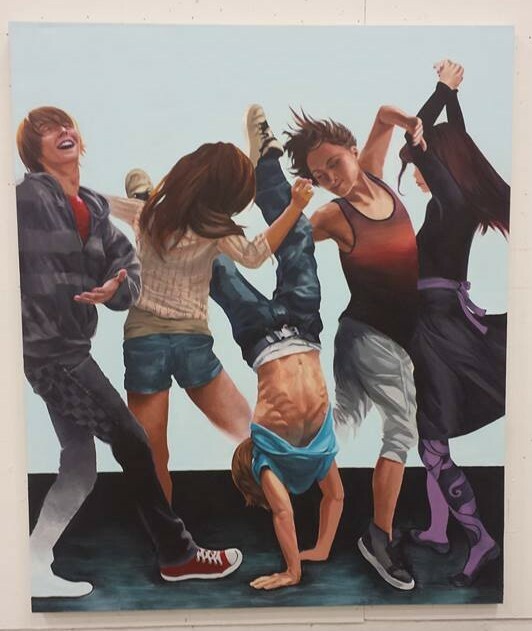 In doing so, most students utilized a combination of painting techniques, by using flat paint but also leaving certain parts of the composition slightly unfinished. Diana Poulsen, Fanshawe’s Art History teacher, was this year’s selected judge that decided the winner for the best painting overall. During the opening reception and awards announcement, Poulsen acknowledged that her decision was very difficult to make, and was not made lightly. It was also noted by several attendees that the caliber of painting was highly regarded, and each student should be proud of their contributions. Poulsen awarded the cash prize to Louisa Rawe, noting that her eye for detail set her work apart from the others. The award was well deserved, and every student was incredibly pleased with his or her work and willingness to experiment for this project. Forest City Gallery SEC (Student Engagement Committee) member, Madelaine Row was an artist who participated in this exhibition. When the exhibition was over, Fanshawe College decided to purchase two paintings from winner Louisa Rawe and Chris McIntire to add to the college art collection. A jury of six students from Fanshawe’s Student Union selected another painting to purchase that was done by Elise Comtois. It has been decided that Louisa Rowe’s and Elise Comtois’s paintings will be hung at Fanshawe College’s main campus, and Chris McIntire’s will be a part of the art collection for Fanshawe’s newly built campus, located downtown London. A special thanks goes out to The ARTS Project for generously allowing Fanshawe students to exhibit their paintings every year. Congratulations to the participating Fanshawe Second Year Fine Art Students.